San Diego is the newest Military Spouse Empowerment Zone under a national program that seeks to end the high rate of unemployment among the partners of America’s active-duty military. “We have to employ military spouses — they are a vital resource,” said Elizabeth O’Brien, senior director of Hiring Our Heroes, a program of the U.S Chamber of Commerce Foundation. 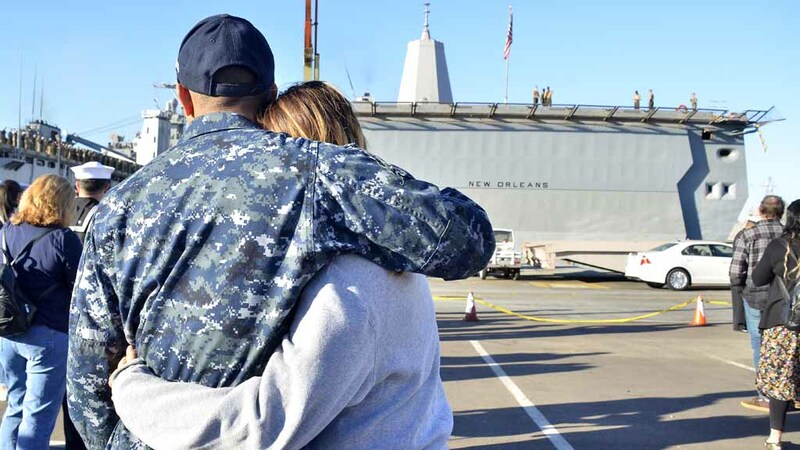 Spouses face the hardship of not just being alone during an extended deployment but an unemployment rate that is four times higher than the general population. San Diego, which is home to 110,000 active-duty personnel, became the latest city to join the program as the city government and San Diego Regional Chamber of Commerce announced Tuesday their involvement. Established to connect military spouses with companies committed to hiring, the zones are collaborative efforts among business, civic and military communities to build employment networks in municipalities around the country. The first was launched in San Antonio in February. “Hiring Our Heroes is proud to welcome the city of San Diego into a growing network of communities working to provide local solutions to barriers to entry for military spouse employment,” said Eric Eversole, president of Hiring Our Heroes and vice president of the U.S. Chamber of Commerce.